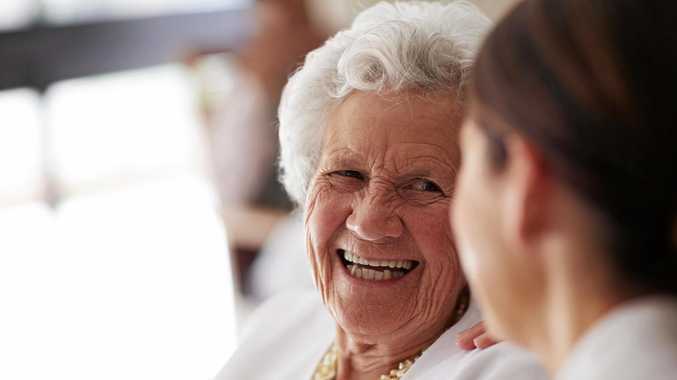 AGED CARE: (NARI) researchers are looking to develop a model where befrienders can, through their volunteer work, reduce the depression and anxiety in Aged Care residents. BEFRIENDING is a proposed new approach to helping reduce depression and anxiety in people living in Aged Care. National Ageing Research Institute (NARI) researchers are looking to develop a model where befrienders can, through their volunteer work, reduce the depression and anxiety in Aged Care residents. The NARI project, which is being funded by the National Health and Medical Research Council, and Beyond Blue, will start field work from this month starting with the recruitment of volunteers who are available to visit a person in residential Aged Care for an hour once a week over at least four months. Project coordinator Marcia Fearn said they are not looking at any specific type of person to volunteer. "We will be providing training for them before they go into residential care facility and they will be provided with support from the research team throughout the time they are involved in the project." The chief investigator Professor Colleen Doyle says her team will be doing assessments of residents before, during and after the field work time to determine if there has been changes to the person's depression and anxiety symptoms as a result of the befriender visits. Loneliness is another issue Professor Doyle's researchers will be studying during the project. "We will be providing some new evidence of what is the impact of social support and visiting people regularly, on the individual," Professor Doyle said.